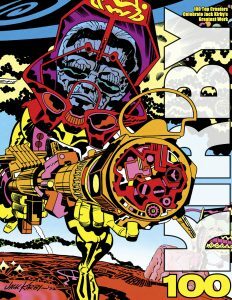 Welcome to 13 DAYS OF KIRBY 100, our celebration of Jack Kirby’s centennial, produced in conjunction with TwoMorrows Publishing. Over 13 days, we’re serializing the publisher’s forthcoming book KIRBY 100, edited by Jon B. Cooke and featuring essays and artistic contributions by 100 of the biggest names in comics, such as Alex Ross, Dave Gibbons, Kelley Jones, Jerry Ordway and many, many others. For the complete 13 DAYS OF KIRBY 100 Index of stories and features, click here. DC’s been doing killer work this year honoring Jack Kirby with a several titles and projects that live up to the King’s legacy. One of them is Bug! The Adventures of Forager, from DC’s Young Animal imprint. The surrealistic journey through Kirby’s DC history is the brainchild of the Allred family — brothers Mike and Lee and Mike’s wife, Laura. 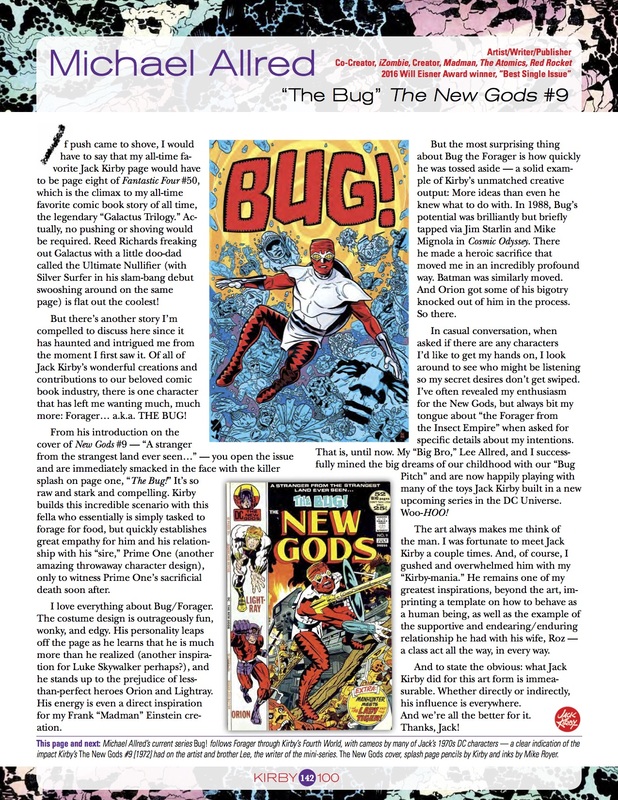 Here, Mike Allred writes about how Bug has, to use his word, “haunted” him since he appeared on the cover of The New Gods #9 in 1972. 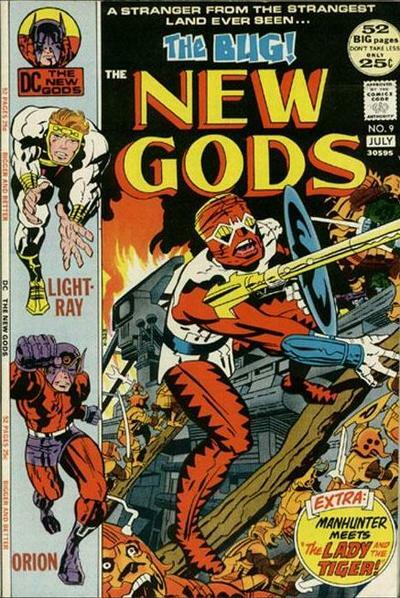 Oh, and before you get started, you should check out Mike’s ranking of Kirby’s New Gods covers, which you can read here. We’ll wait for you. 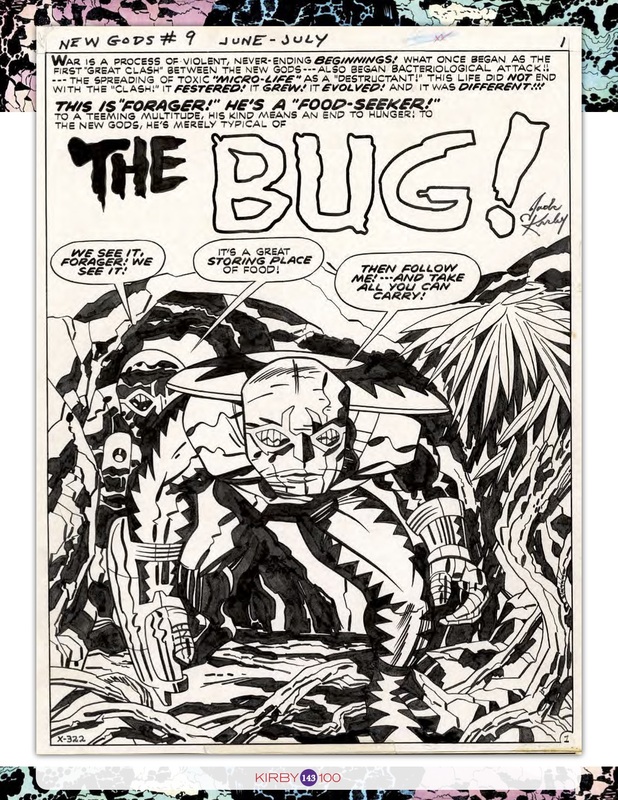 NEXT: John Byrne and THIS MAN … THIS MONSTER! Click here. KIRBY 100 is due to be released 8/28, the King’s 100th anniversary. It will be available in stores, online and directly through TwoMorrows (click here to order).